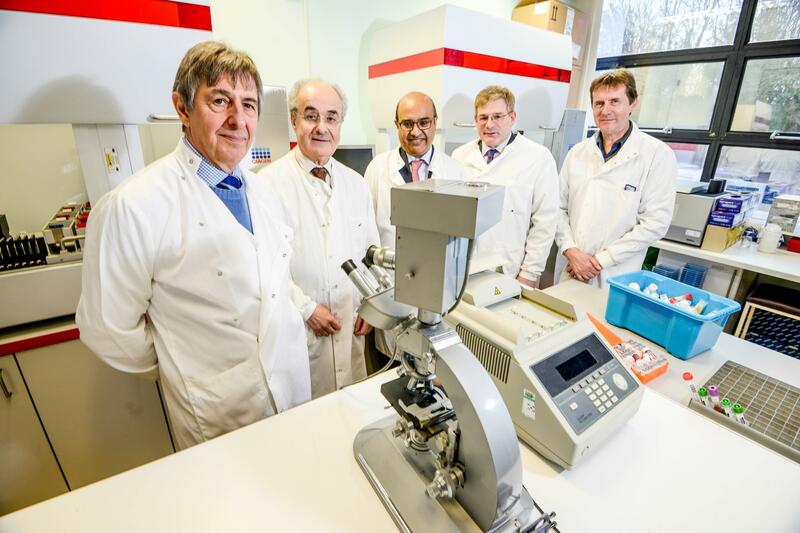 A pioneering laboratory in Coventry that provides a rapid diagnostic service for serious infection is celebrating two decades of being at the forefront of its scientific field. Micropathology was established by physician and virologist Dr Colin Fink and immunological scientist Dr David Burnett in 1995 to provide a state-of-the-art diagnostic service to the NHS and private hospitals, and within a few years, was recognised with a Queen’s Award for enterprise innovation. The company, based at the University of Warwick Science Park’s Venture Centre in Sir William Lyons Road, has achieved continuous and substantial growth and now serves around 180 NHS Trusts across the UK as well as private hospitals and clinical establishments abroad. The company’s services include diagnosis of infection and genetic diseases, DNA paternity testing, forensic work for HM coroners for the identification of bodies, and biomedical research covering various aspects of human and veterinary pathology. Micropathology is also researching new next generation gene sequencing methods to improve rapid diagnosis and to determine causes of some diseases. Dr Fink, medical director at Micropathology, said: “We set up on a shoestring budget in Birmingham. Having very little funds we built the laboratory ourselves. The company moved to the Venture Centre in 1999 and has since expanded from one to six units, and now employs 25 staff including 15 postdoctoral researchers. Dr Burnett said: “Over the years we have steadily increased the amount of work we carry out for the NHS and private hospitals, and now play a major role in surveillance for infection in the transplant population in the UK as well as supplying acute infectious disease diagnoses. The company has also actively developed an association with the University of Warwick and supports the work of research and postgraduate students. Dr Fink is also an honorary senior lecturer at the University and teaches the next generation of microbiological scientists. David Grindrod, director at the University of Warwick Science Park, congratulated Micropathology for 20 years of ground-breaking work. He said: “The company has revolutionised the diagnosis of infectious disease in the UK and is highly-regarded by both the NHS and private hospitals for which it provides a vital service.